There is so much that could be discussed, but I want to mention the last thing viewed during the tour of the site. 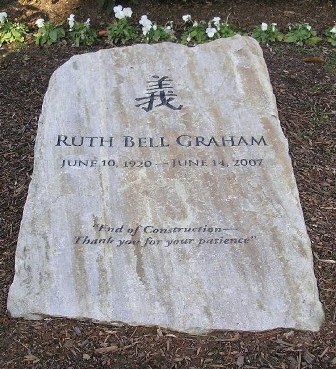 It was the gravesite of Ruth Graham, Billy’s wife who passed away in 2007. Ruth grew up in China as one of the children of medical missionaries, married Billy after meeting him at college, and was with him as his dear bride for over 60 years. She had the front row seat of the life of a man who preached face to face with more people than anyone who has ever shared the gospel. On her gravestone, her name is engraved in Chinese and in English. Also, this saying is written on the stone: “End of Construction–Thank you for your patience” It catches the observer off guard. What does it mean? Why is it on her grave marker? We then read on a small marker that the saying came from a trip Ruth and one of her daughters made one day. As they were leaving a road construction job on the highway, there was a sign which had the saying on it to show gratitude with the people who understood the slow progress of improvement and that it does end. She stated to her daughter, “When I die, I want that saying on my grave marker.” How fitting, not just for Ruth, but for all of us. 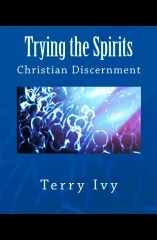 The older we get in our walk, the more we should realize the constant changes the Lord is working in all of us. Isn’t that really what life is all about? The Lord, in His patience and grace is working us all through the events and experiences of our life, bringing us to our expected end. We can be way too quick to judge someone’s progress in their spiritual life and fail to realize the abundant patience the Lord has shown toward us in our life. We are ALL under constant construction while walking through the vale of tears we call life. Let us renew our patience with one another. The change will stop one day…when we take our final breath and enter into the rest of the Lord. We will see life in its full majesty and glory, along with the one Who has given so much to transform us into His image. While the Lord is changing us, let us thank others for their patience. Let us thank the Lord for His patience. Let us be careful to extend that patience to others. One day the construction will end–O, what a day!